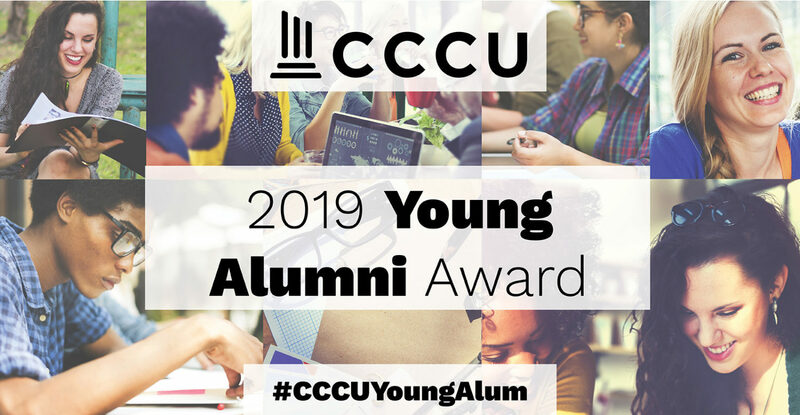 WASHINGTON – The Council for Christian Colleges & Universities is now accepting nominations for the 2019 CCCU Young Alumni Award. The Young Alumni Award recognizes an individual (or a team of individuals working in a joint venture) who has achieved uncommon leadership or success in a way that reflects the values of Christian higher education. Previous winners include Angie Thomas (Belhaven University, Jackson, MS), best-selling author of The Hate U Give; Felipe Silva (Northwestern College, Orange City, IA), who works as a mentor to at-risk youth in an economically depressed region of Romania; and Steven Grudda (Houghton College, Houghton, NY), who works as a consultant to help African communities develop and promote sustainable businesses. 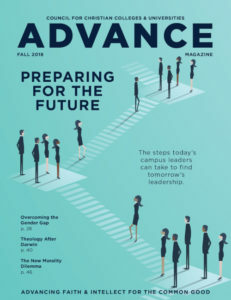 This year, the winner will be selected via committee review and honored during a ceremony at the upcoming 2019 Multi-Academic Conferences in St. Petersburg, Florida, from Feb. 11-15, 2019. Nominations are due Sept. 21, 2018. All nominations will be highlighted on the CCCU Facebook page in the fall using the hashtag #CCCUYoungAlum. The winner, as well as the winner’s alma mater, will be notified later in the fall. Please note: Only one nomination from each institution is accepted, and submissions should be sent from an institution’s alumni relations office. Full guidelines and submission details are available here.